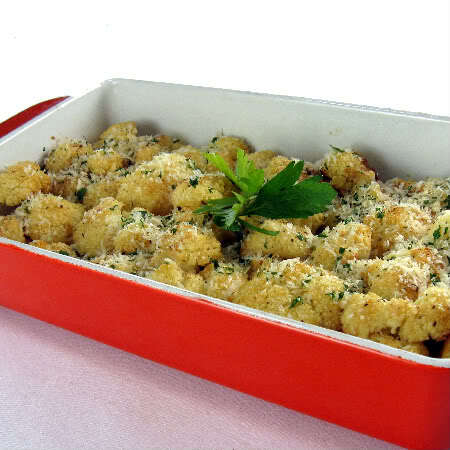 Heat oven to 450 degrees F. Combine cauliflower and garlic in a large bowl. Drizzle with olive oil, lemon juice, salt and pepper. Transfer, in a single layer, to a large rimmed baking sheet. Roast at 450 degrees F for about 25 minutes, stirring once. Sprinkle with cheese. Quick & Easy Recipes Copyright © 2019. Theme by Quick'n Easy Recipes.